AFBA has put together two helpful checklists. 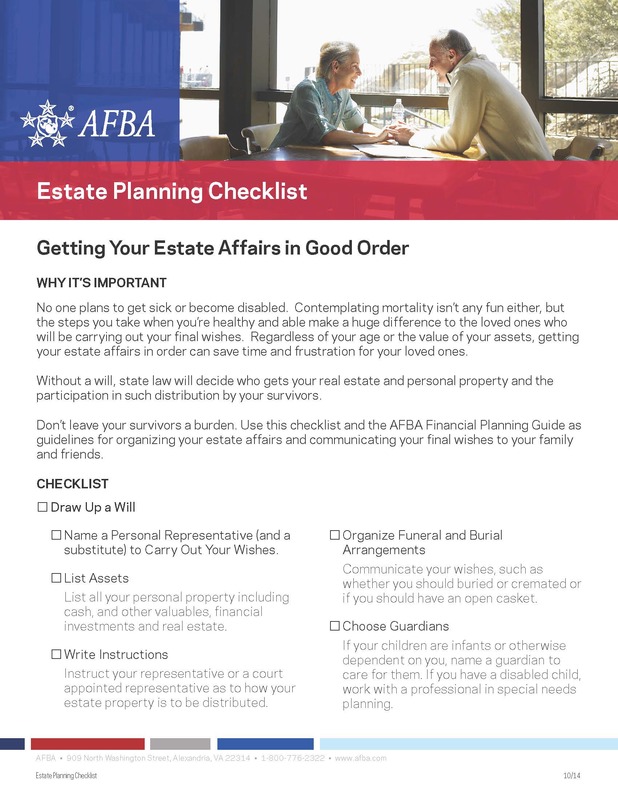 The Estate Planning Checklist is a guideline for organizing your estate affairs and communicating your final wishes to your family and friends. 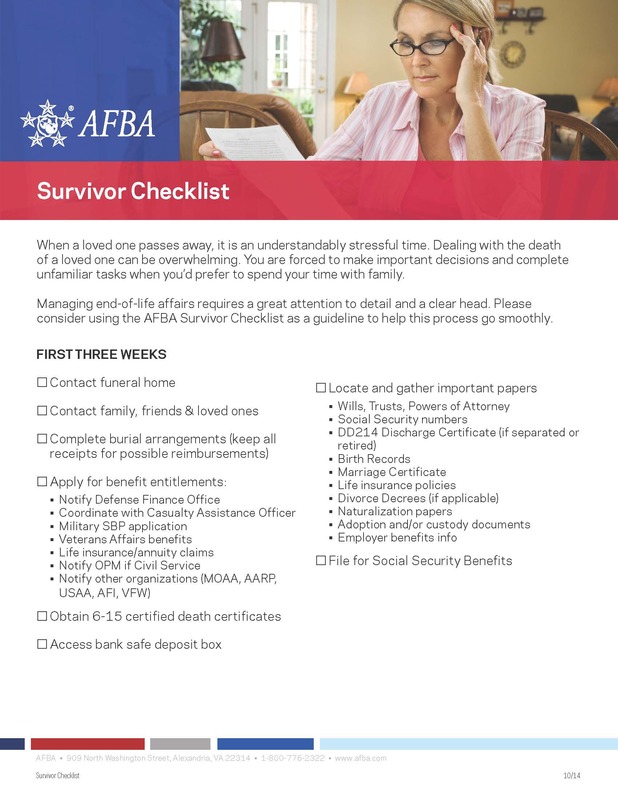 The Survivor Checklist is for survivors navigating the procedures following the death of a loved one. We hope you will find these documents useful.